I'm starting to work on this again. Would people prefer a built in keypad on top of the unit? 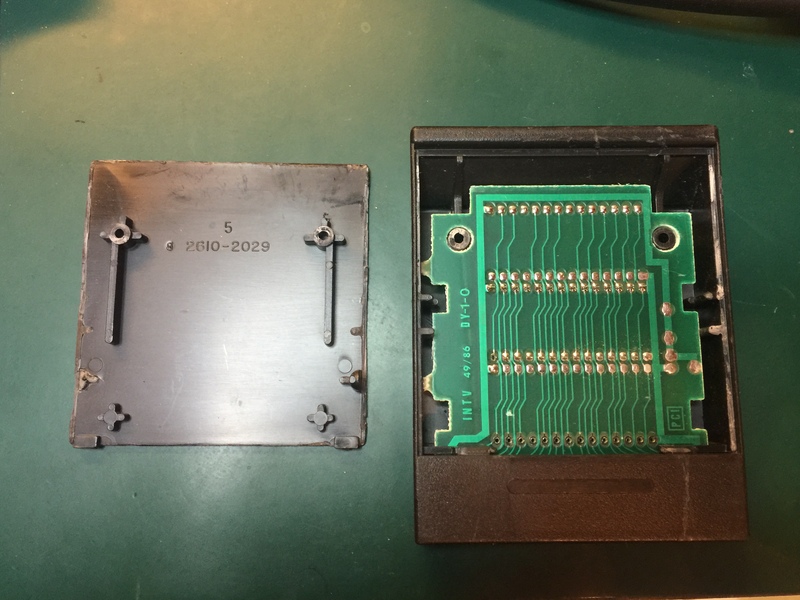 I would then remove the rear port that would usually connect to the Intellivision controller (in order to use its keypad). i am interested in one of these. I have super nintendo, pc engine and nes controllers that i modified that i can use on this. Not sure how well the nes rapid fire will work on this. #3910764 Can "sealed" Intellivision shells be re-used? #3910428 Can "sealed" Intellivision shells be re-used? 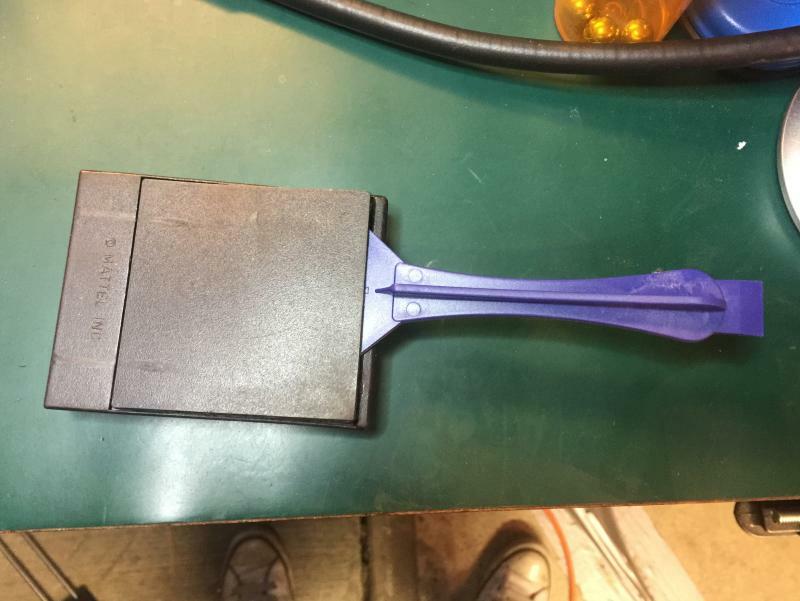 You been taking apart "Basketball" carts again? nope. I havent gotten anymore of them. Anyhow i tested several tools and methods for opening the sealed carts and found the best one. The backs are super glued on the sides and posts. 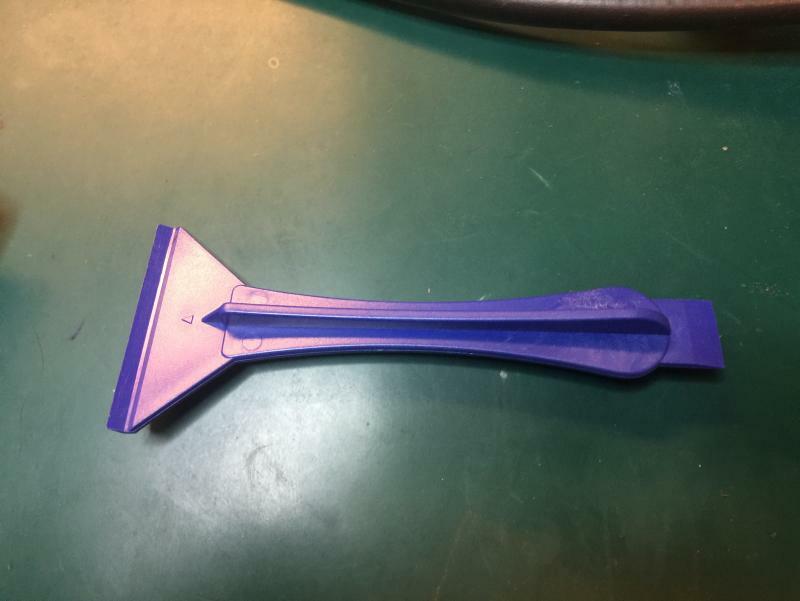 This is the plastic spudger you want to use. I can send you several if you need them. The bottom side has tabs so stick the spudger in the top side. Now push down the back of the spudger making the back cover bow a little. Then shove the spudger in farther. Now that the spudger is in between the 2 post put more pressure down on the back of the spudger until the back pops off. Now you can see they super glued part of the sides and the posts. You can now replace the boards and put the backs back on. However, due to the original super glue you need to put the backs on the cart shells they came from. #3910040 What is this unholy union? 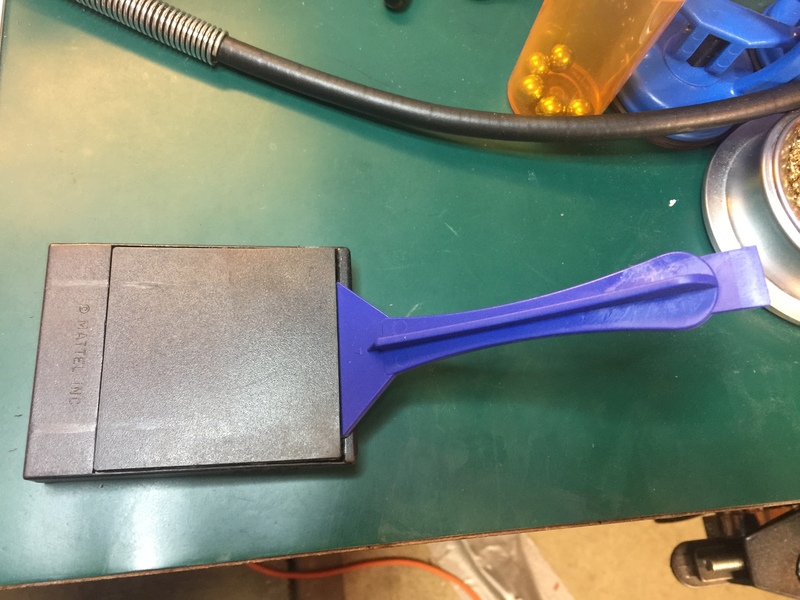 Apologies to those hankering after the AtariVision version of Combat Poker (I've heard it is a marvellous game), but this is the cartridge scanner / dumper I have always wanted to make. It has only a single component, a Teensy 2.0 microcontroller, meaning it is compact enough to be packaged inside a 2600 cartridge. The scanner draws its power and communicates with a host PC using USB. Software on the PC maintains a file of known signatures and highlights unknown ROMs if any are found. #3910012 Can "sealed" Intellivision shells be re-used? i will have to take one of these sealed games apart. I have everything i need to properly disassemble one so i can find the best way to disassemble them so you guys can reuse them. 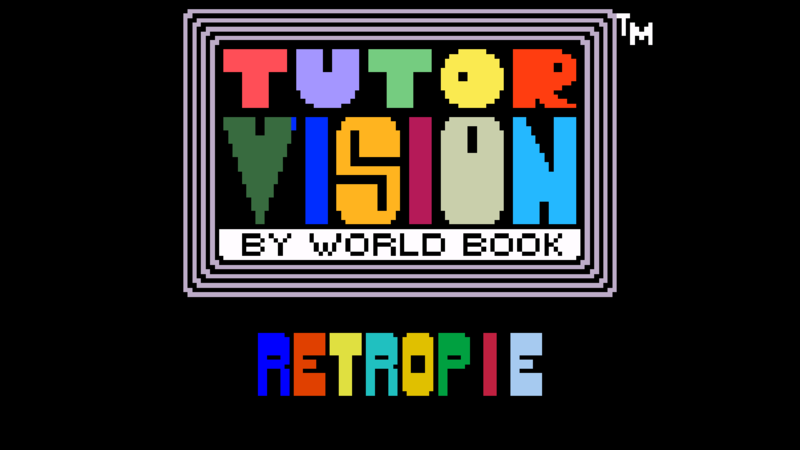 Using Joe Z's latest build of jzintv, I got the Tutorvision games running in emulation today. It was fun to see them and try them out. Because I couldn't find any existing videos of these games, I decided to make my own so people can see them in action. I would definitely support the release of these games just hoping that one of my two Super Pro Systems is compatible so I can actually play the games. If not I'm sure one of you smart tech people will be able to work up a mod in future. Would be great to see it compatible with Sears Telegames unit but that may be asking too much. Good luck on the project! if you have a super pro that works or is modify-able, you can pull the board and put it into a sears unit. If someone like joe makes the chips that are needed available i probably would do some for people. I would mod my sears unit too if it is possible. Problem is cost. You see, with the SGM, we went with $90 per module for something that is way simpler than what we are trying to accomplish here. And I lost money in the first run, I paid $4,000 out of my pocket to have the 200 modules produced. Each component we add increases cost, not just the component itself, but assembling, PCB space, case space, packaging size, it is a domino effect and all amount for additional costs. So we must find a balance. It would be cool to have a single module that replaces everything, but that isn't realistic. If we do that, new features must go. And I don't think we can sell it for more than $150, and if we cross that threshold, something must go. On a more positive note, here is how TRON would look like on the new Xpander. i think an add-on would be cooler than a new console. Releasing a super outdated new console has been done a bazillion times. Add-on just makes our cool system a little cooler. Now the new add-on doesnt need to be waterproof, but hopefully it will at least be "Juice-Proof"
How about a destroyed Apple just to make a case for a Pi. Which is why I don't care for it... that and I'm not a huge fan of the Pi to begin with... but hey, lots of people are destroying old electronics to make cases for the Pi. Question... is the plural of Pi Pis, or Pies? i understand your feeling. I however play the apple ii games a lot more this way. And thats what is most important to me. And as far as making a retro game console i wanted it to be an apple iie because i had one as a kid and had them in school. It was a lot of really great memories for me. So this was me having the best of both worlds. If i had the room i would love to collect tons of old apple stuff. But unfortunately, i cant. So for now i just try to collect old apple cables and some accessories. and anything i can add to my mod. I do have a another apple iie, except ups shattered the plastic case and bent keyboard frame in shipment. So one day if i can find another shell and keyboard for cheap, i will make a good old one. I just wish i could find the color monitor for the apple iie for a good price. I think design wise it should look like the intv ii. And the reason i say this has to do with the ecs. The ecs is available in both brown and gray. You could make a matching xpander that you could use the same mold to produce two colors. Then you could have the best of both worlds. Ok so the best thing is to leave your hackfile set to player 0 and 1. Put the the upci in port 2 leaving usb0 and 1 for your other controllers. When you arent using other controllers unplug them. Now i am not around here as much as i used to be, but if you want to know anything about dosbox on the pi you should post over at the retropie forums. I live there. I have an extreme amount of knowledge with running dosbox and setting up .sh files to be able to boot straight into games seperately. All the extra jumpers lying around scares me. might i ask what this awesome mad science experiment is for?